Save some extra cranberry relish for this Thanksgiving Leftover Makeover moist tender cake. 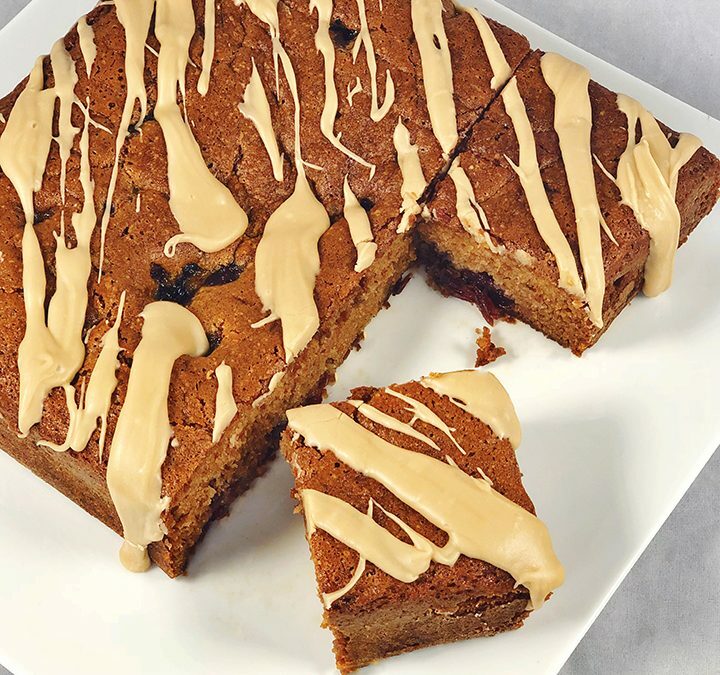 Full of warm winter spices, this delicious cider cake recipe converts leftover cranberry relish to an easy, tasty dessert. Position a rack in the center of the oven, and heat the oven to 350˚F. Line an 8×8” baking pan with parchment paper on the bottom and up two sides with some overhang. Butter and flour the pan and parchment paper, tapping out any extra flour. In a medium bowl, whisk together the sugars and oil. Add the eggs, one at a time, whisking until completely combined. Whisk in the sour cream and vanilla. In a separate bowl, whisk the flour, baking soda, cardamom, cinnamon, clove, and salt. Using a wooden spoon, stir one-third of the flour mixture into the sugar mixture, and add one-half of the cider. Repeat with the remaining flour and cider, ending with the flour, and stir until the batter is smooth. Whisk the cranberry relish with the maple syrup. Scrape the cake batter into the prepared pan, then evenly drop in teaspoons the cranberry mixture into the batter. Place the cake in the oven bake for 40-45 minutes or until a cake tester comes out clean in the center. Let the cake cool on a rack for about 15 minutes. Using the parchment overhang, remove from the pan. Remove the parchment then cool completely. Stir together sugar and salt in a small bowl. Whisk together butter, 1 tablespoon milk, and vanilla. Add the sugar and stir until a mixture forms into smooth paste adding more milk if needed. Drizzle over the cake.